Hope you had a great Father's Day with the men in your life. I made this card for my amazing dad. I also designed a very similar one for Kalino to give to my husband. Unfortunately my card didn't get to my dad in time because I mailed it too late. I love the flexibility of the Print & Cut feature of the Silhouette Studio software! 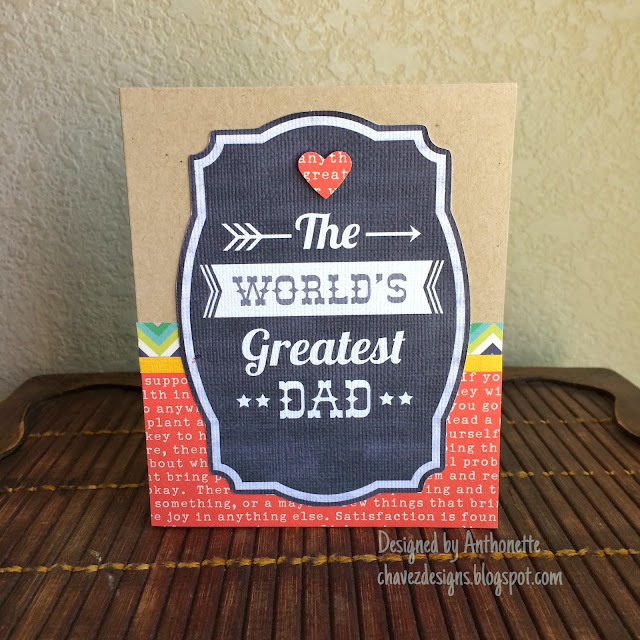 I added The World's Greatest Dad design on top of a lovely chalkboard frame design. I selected the text and specified "No Cut". I gave the text an outline and fill color of white so it looks like chalkboard writing. I still can't get enough of chalkboard designs. 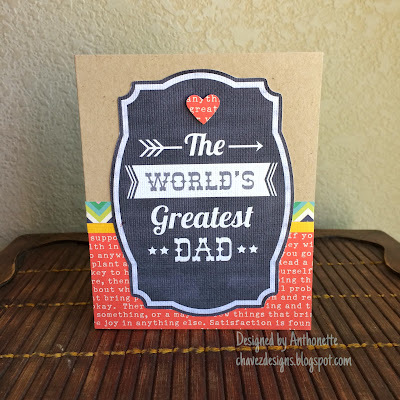 The patterned paper is from American Crafts and the card base is kraft cardstock. I used my Stampin' Up heart punch to punch out a heart. Thanks for stopping by! Enjoyed reading your blog. When are you next articles coming? Can’t wait to read them all. Your write-up is an eye-opener on the awesome world of freelancing. I think I do have a unique skill set of collecting posters…it is more of a hobby. When I read your previous blog, I realized that I can make money with my hobby. So, I have begun selling copy prints of all the classic Hollywood posters that I possess through marketplaces such as graphic design logos , freelance graphic designer. Thank you!